Cross Connectors four way prove to be an excellent option for achieving leakproof joints in tubing connections. 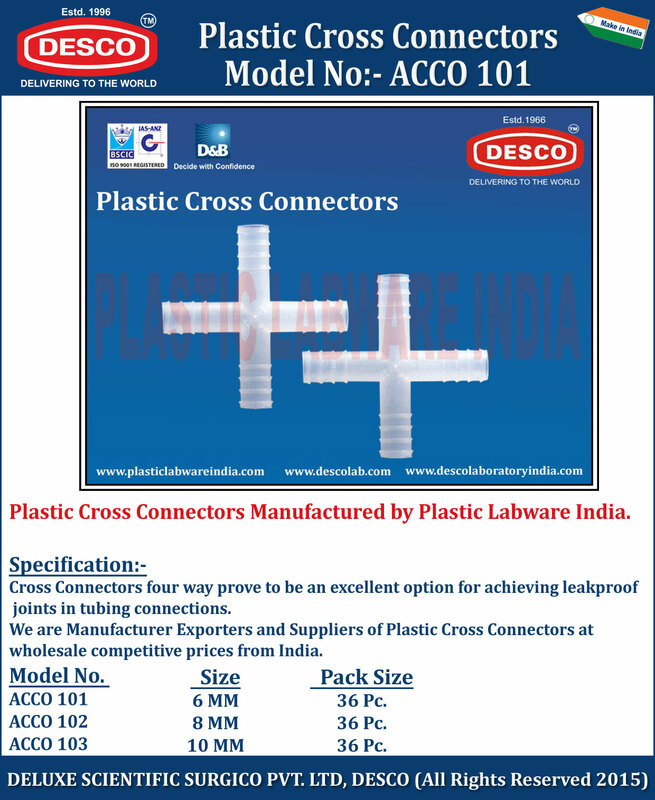 We are Manufacturer Exporters and Suppliers of Plastic Cross Connectors at wholesale competitive prices from India. ACCO 101 6 MM 36 Pc. ACCO 102 8 MM 36 Pc. ACCO 103 10 MM 36 Pc.